-> Small update: forgot to include the collision for this car. 0. Make sure you have either "Car Array Patch" by sparx, or "NFS Carbon Unlimiter" by nlgzrgn installed. 1. 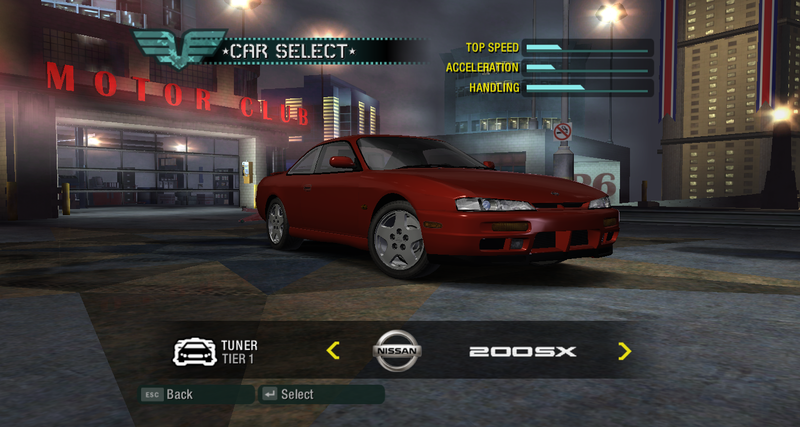 Drag the provided 200SX folder to the CARS folder of your game. 2. Open VLTEd 4.5. If you don't have it, download it. 3. Import 200sx attributes.nfsms with VLTEd to install the car's attributes. a. Go to the "Replacing Files" folder and drag all the folders in it to your game's folder. 0. Make sure you have "Ed The Car Dealer" tool by nlgzrgn. 1. Go to the "Adding with Ed" folder. 2. Drag all the folders to your Ed folder. 3. Open Ed The Car Dealer and locate your game folder with it. 4. You should see a new slot called 200SX, Click on Apply. - Model conversion from NFS World to NFS Carbon. - NFS Car Toolkit 1.0. - Ed The Car Dealer. - Let's Convert an NFS Car Series.